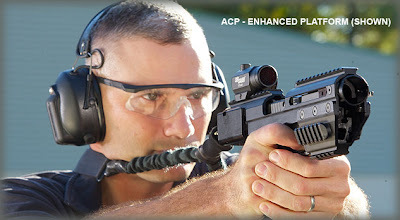 RomeoTangoBravo: SIG Sauer ACP (Adaptive Carbine Platform) Prices Released! When the ACP hit the RTB.net radar our best guess was a MSRP of, at least, $599. It is more than a pleasent surprise to find that all of the models are well below that mark. I've gotten word from a retailer that they will be pricing the standard version at under $300.